Nootropics can enhance your mind and cognitive abilities similarly to how vitamins can help your body function better. There are a variety of these fairly new "smart drugs," and their ingredients can help with anything from enhancing your memory to boosting your mood. To qualify as a nootropic drug, the substance has to enhance cognitive function while maintaining low toxicity and causing very few side effects. Nootropic drugs have only come into mainstream use recently, but our customers from all over the world have given them rave reviews. "Imagine more. Dream bigger. Go make it happen." 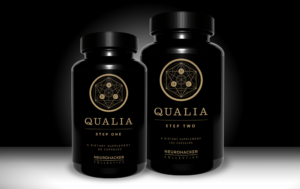 The slogan on Neurohacker Collective's online store captures all of the aspirations of those who are turning to nootropics for enhanced cognitive performance. 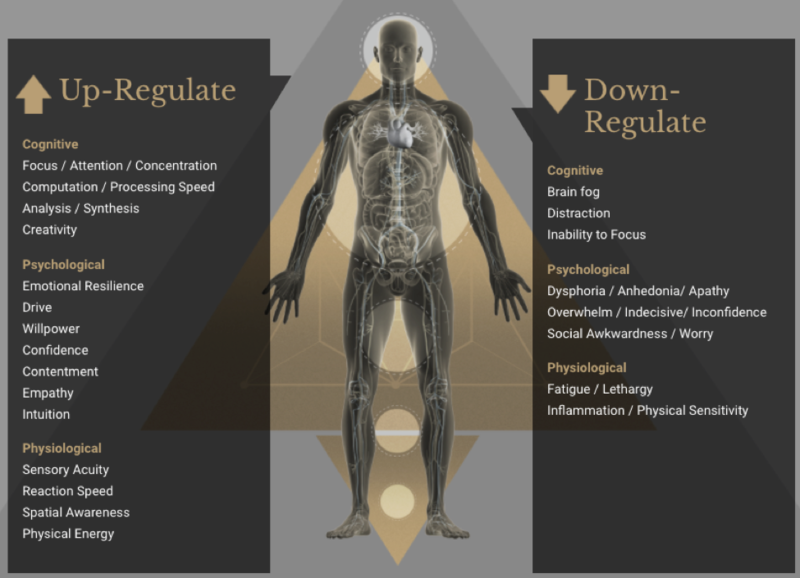 Their top seller, Qualia, affects the cognitive, psychoaffective, and physiological areas of wellbeing, bringing your body a flow of ingredients that keep you balanced, focused, and energized (see below for Neurohacker Collective's chart on how Qualia affects the body). People around the world are trying nootropics like Qualia, so recommendations and tips are shared on sites including our trusty favorite, Reddit. On r/Nootropics, you'll also find tips on other great American-made nootropic drugs, many of which you can get through Big Apple Buddy's shopping concierge service. If you're interested in learning more, Focus Here And Now also wrote a great Qualia Neurohacker review. Unfortunately, the USA Neurohacker Collective online store does not currently offer international shipping. However, Big Apple Buddy, your personal shopper, can help you buy products direct from the official USA Neurohacker Collective online store and ship them to your doorstep, no matter where you are in the world. We offer international shipping to over 110 countries including Australia, Austria, Bahrain, Belgium, Brunei, Canada, Croatia, Cyprus, Denmark, Estonia, Finland, France, Germany, Greece, Hong Kong, Hungary, Indonesia, Ireland, Israel, Italy, Japan, Kuwait, Lithuania, Macau, Malaysia, Maldives, Netherlands, New Zealand, Norway, Oman, Portugal, Saudi Arabia, Scotland, Serbia, Singapore, Slovenia, South Africa, South Korea, Spain, Sweden, Switzerland, Taiwan, Tanzania, Thailand, UAE and the UK. If you would like to buy from the USA Neurohacker Collective online store, simply get in touch and let us know which items you would like to order. We’ll get back to you with a free international shipping quote within 24 hours!